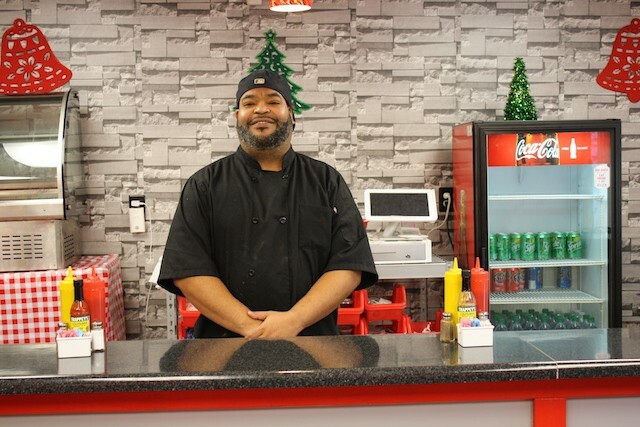 Jeffery Reed quit the corporate world to open Big Boyz. A counter beckons to diners. 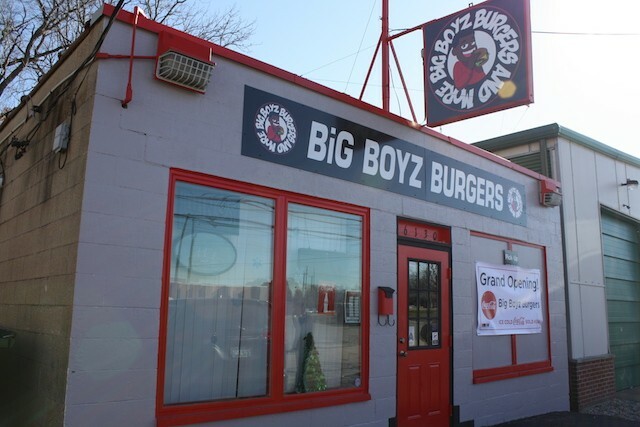 And so Big Boyz Burgers and More (6130 Madison Avenue, Berkeley; 314-528-6111) was born. 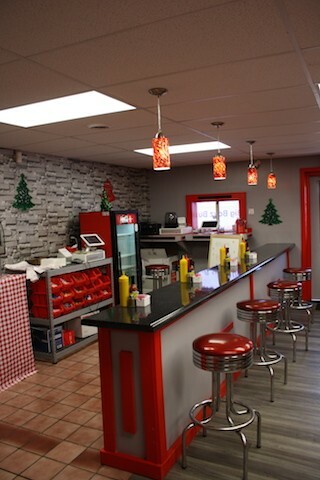 After retooling an old neighborhood grill into a cute diner-style eatery with '50s touches, Reed and his wife Regina celebrated the grand opening on November 18. 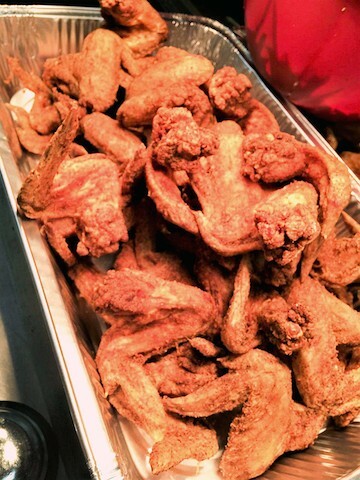 Big Boyz offers a broad selection of St. Louis favorites, from fried rice to chicken and waffles. Says Reed, “We really wanted to offer a variety of foods everyone could enjoy.” While the restaurant offers monster dishes like a four-patty handmade burger layered with cheese (the "Big Boy Cheesy Monster") and the "Choppie Choppie," which includes two large pork chops, garlic parmesan fries, a side salad and a buttery roll, the real deal is the un-believably hot hot wings. 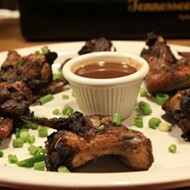 Reed mixes Texas scorpion pepper, ghost pepper, California reapers and a special blend of secret spices into a wing so fierce that you must sign a waiver to eat it. 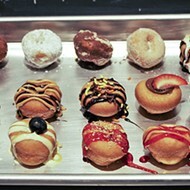 Make it through a pound of these bad boys, and your name will forever be in red on the Big Boyz wall of fame. Big Boyz makes its own special fried rice, mixed with shrimp, chicken, pork and veggies. Reed swears it's the best in town. “People love the special fried rice, and I think people like being able to come to a place where they can get f ried rice but also a Philly,” he says. 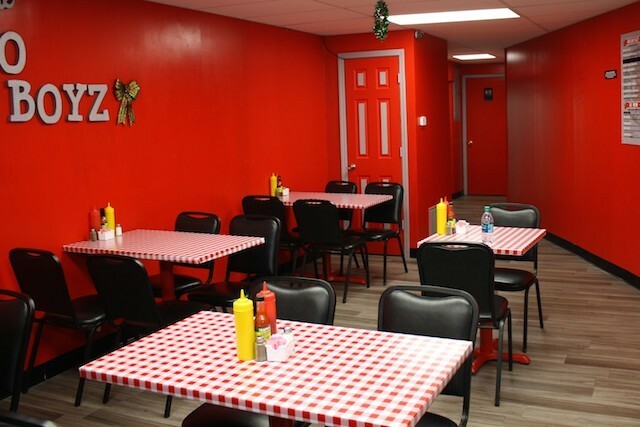 But the house favorite would have to be the chicken and waffles — and Big Boyz's charmingly retro cafe is a serendipitous environment for eating them. These waffles are sweet, fluffy and slightly crisp, with a pair of chicken wings scalded to perfection and laid across the top ready to be drenched in maple syrup. 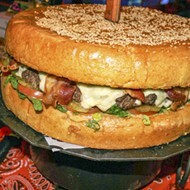 Big Boyz lets kids eat free on Thursdays; it also offers weekly specials. The restaurant is open Tuesday through Saturday, 11 a.m. to 9 p.m. and Sunday 11 a.m. to 6 p.m. It's closed Mondays. Reed is also willing to do catering for special events. Scroll down for more photos of Big Boyz. 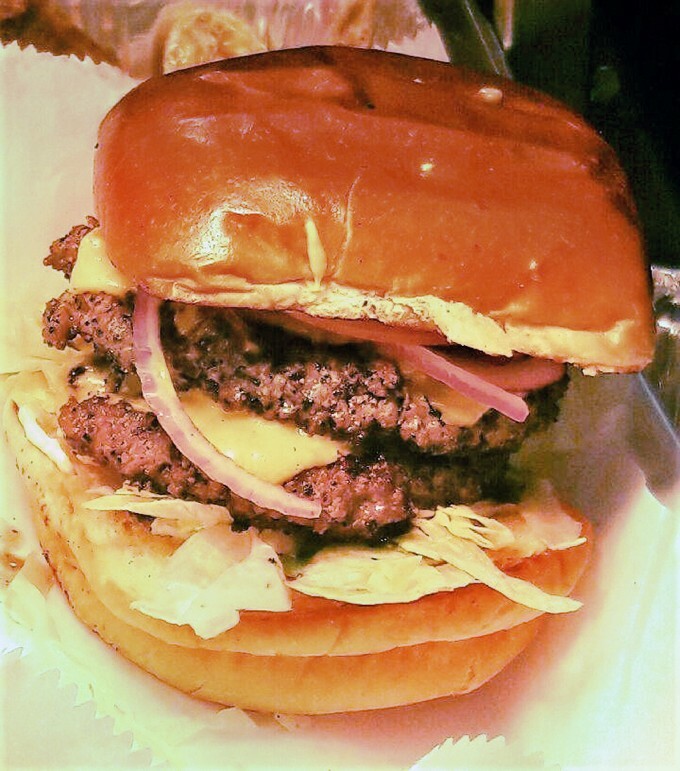 "The Big Boy Cheesy Monster" — just as its name promises.